Tuesday February 5, 2019-Sports Cabinet Secretary, Rashid Echesa, is a man under siege both from President Uhuru Kenyatta and fellow CSs. This is after it emerged that his colleagues in Cabinet have isolated him barely a week after President Uhuru Kenyatta warned him against personalizing his docket and engaging in 2022 politics. Several of his colleagues were heard protesting that it was a mistake for Uhuru to have appointed a Class 7 dropout to the Cabinet whereas there were professors’ ready to do the work Echesa is doing. They claimed Echesa had no proper grasp of the issues both in his ministry and in the Cabinet and therefore adds no value to the Cabinet meetings chaired by Uhuru himself. “It is unfortunate and a big shame. What kind of discussions can you have with a Class 7 dropout who does not understand anything,” one of the CSs was quoted as saying. 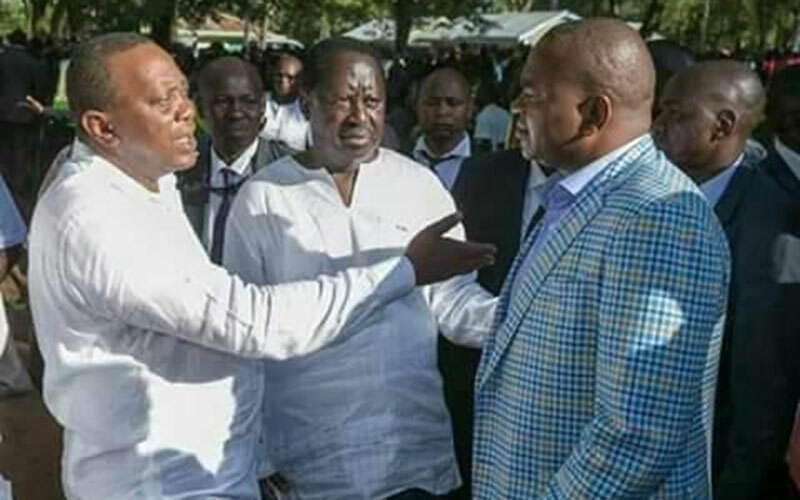 It is said, Echesa nowadays cuts an image of a lonely person in unfamiliar territory.